A few days ago, I posted an inspirational video that changed the lives of many people. A young lady took to her youtube account to share her life story as she battles MS. She inspired many people to do the same. 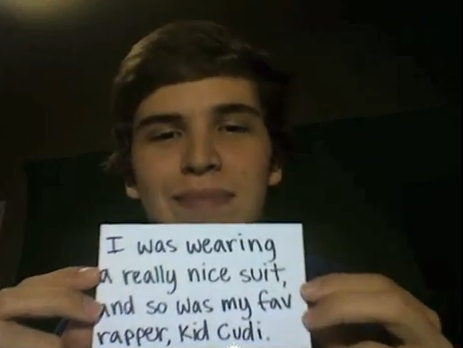 18 year old Ben Breedlove took to youtube to share his story just a few days later. Ben's videos speak about the 3 times he cheated death battling a very serious heart disease. He shares his experiences as he remembers them, one near death experience even included his favorite rapper Kid Cudi. Im sad to say that these videos were posted on youtube just days before his last near death experience. On Christmas day, he lost his life to the disease he's been fighting for since his birth. He left early, but not without inspiring a million plus people with these videos. My prayers go out to his family who are celebrating his life today!